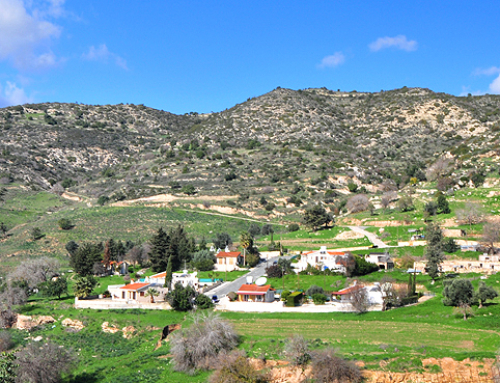 Pissouri Village is set mid way between Limmasol (30km west of Limassol) and Paphos. 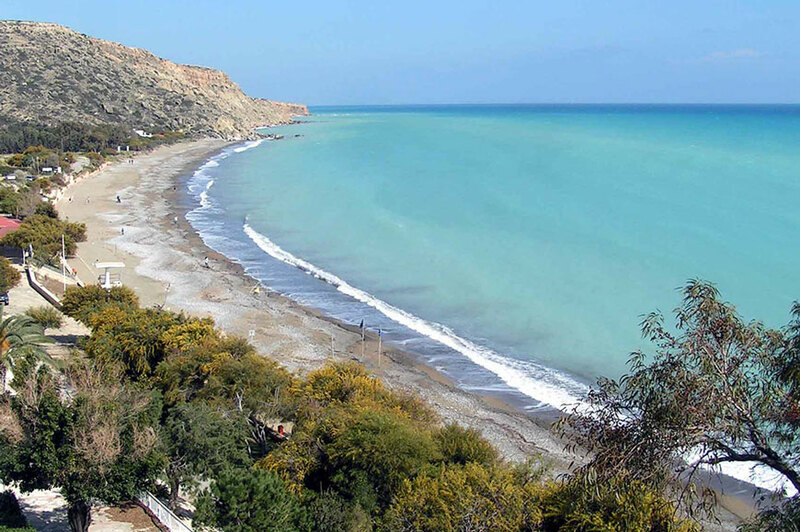 To the south the village extends to Pissouri Bay, which received the European Blue Flag, only 3km northwest of Cape Aspro. The bay stretched from Cape Aspro right to Mavrorotsos, a rocky area. 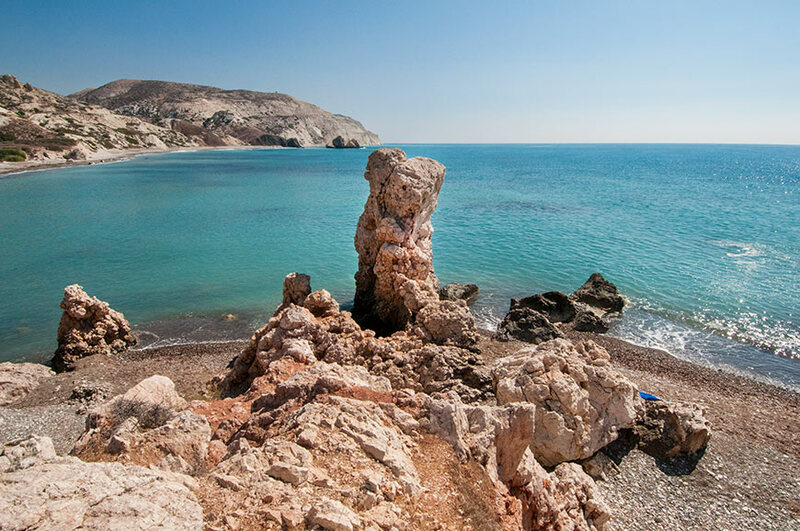 One version refers that it took its name from the ancient city “Boosoura”, mentioned by the ancient historian/geographer Strabo placing it at the borders of the area of Pissouri. 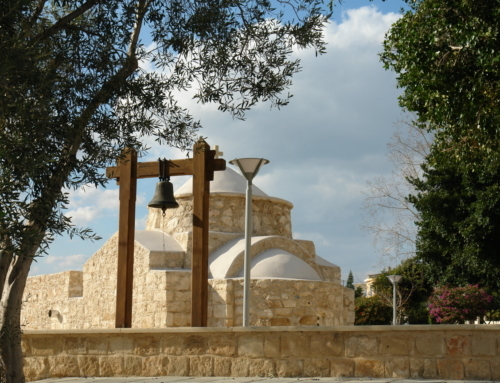 Another version come from the following legend: it is reported that the 300 “Alamanoi” saints that came to Cyprus from Palestine, so that they can live an ascetic’s life in various parts of the island, arrived at Pissouri bay on a pitch-black night and in the Cypriot dialect “pissouri” is considered as being “very dark”. Another tradition cites the escape of the Holy Fathers who, while being persecuted during the first post-Christian years, met in this area on a dark night. Ultimately, it is believed that the interpretation of the name of the village is simpler. 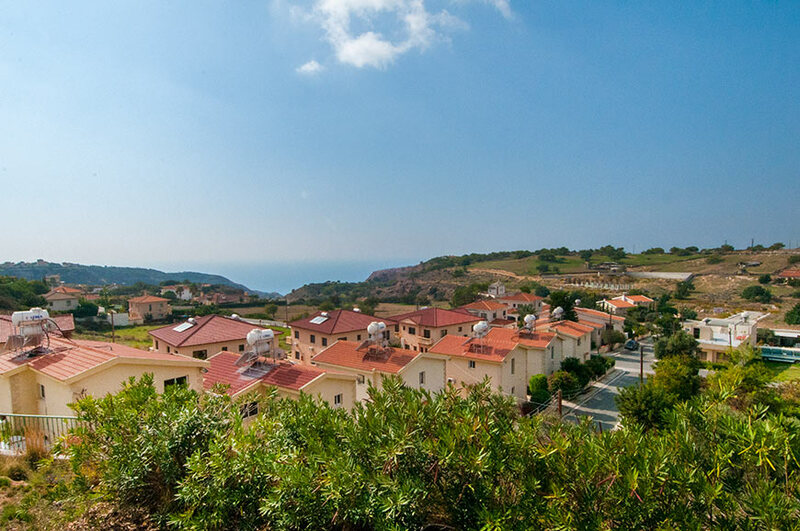 Gum (”pissa” is Cypriot for gum, tar, pitch) was being produced in the area once and thus the village got its name. The pine gum must have been produced in the area during the Byzantine and Frankish era. 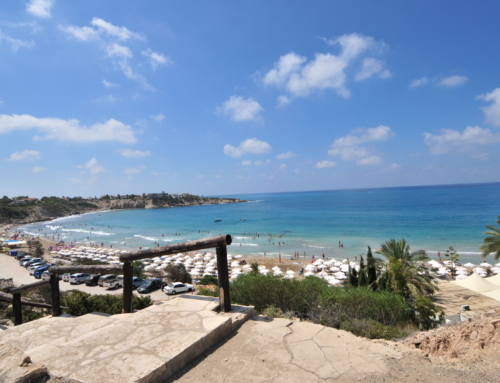 Pissouri received an average annual rainfall of 447mm lending to the village producing mainly grapes to make sultanas. Population is 1400 permanent residents. 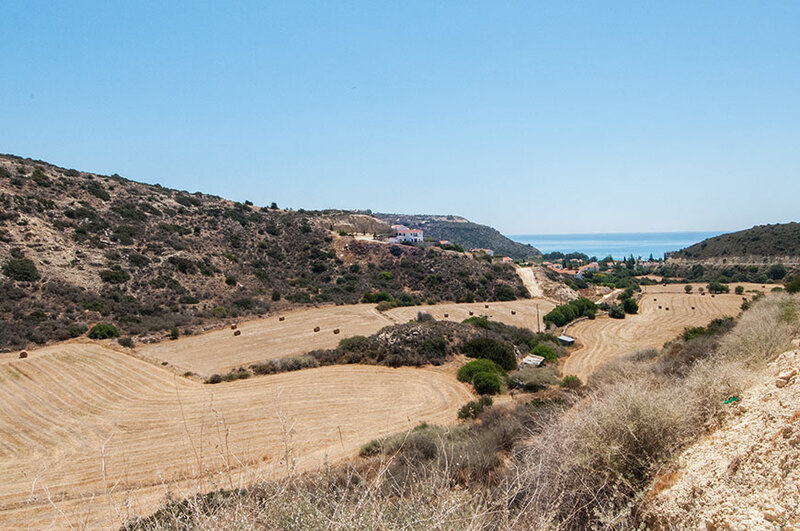 The village is also within close proximity to the Kourion, an ancient Roman amphitheatre, and Paleapafos providing a brief and jaw dropping excursion. If you want to stay put however then having a Cypriot meze in the village plaza wouldn’t go amiss! 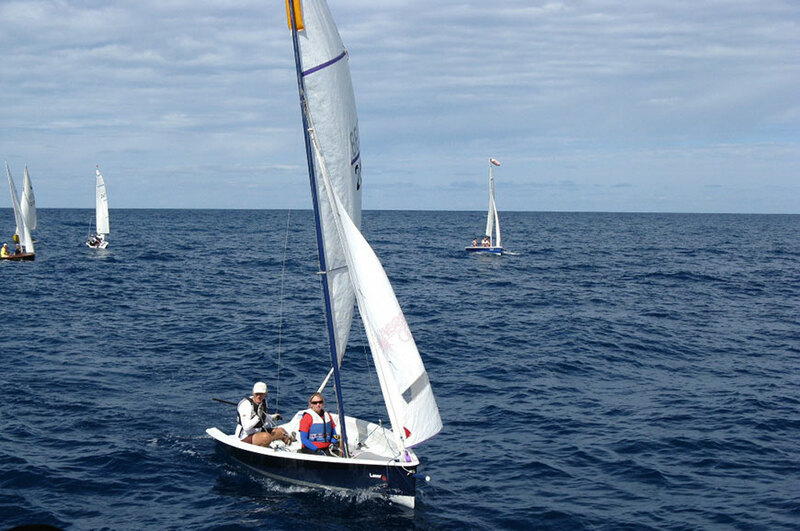 Truly a picturesque combination of resort and rural village life. 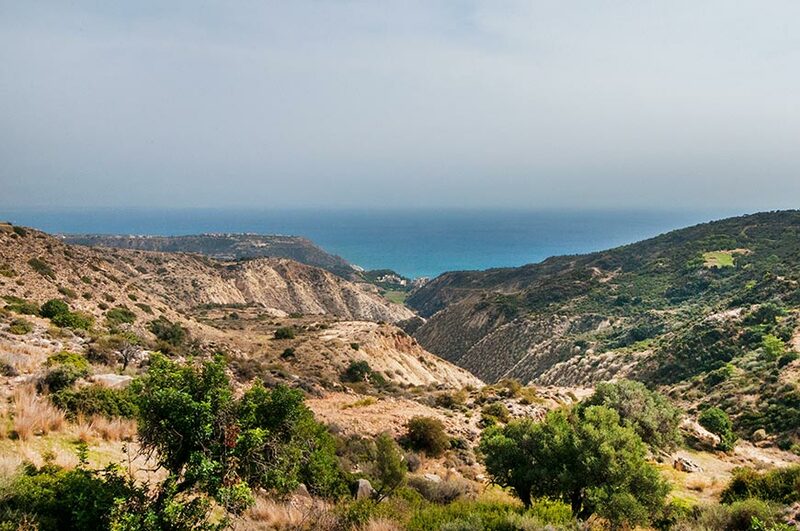 Pissouri has many wonderful Churches and Chapels of which there is a brief description of what they have to offer. The final stone was set in place in 1883 after 12 years of voluntary labour by the good-willed residents of the Pissouri community in 1883. 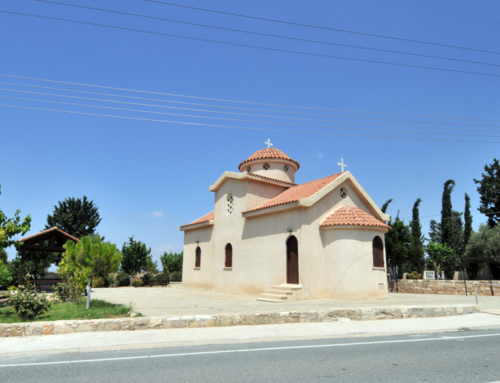 The stone used to make this Gothic styled church was quarried from the regions of Anogyra and Prasteio villages and was transported with the use of carts pulled by the die-hard Cypriot donkeys. The site used served as the village cemetery up to 1912. The church is famous for its wooden-carved Icon Stand, which is a real work of art and was manufactured in 1890. So great was this labour of art that it even took 10 years to make. The first bell of the church, weighing 100 kilos, was well-known and when it rang the sound could be heard up to 15km away. Found in the locality of Kamaroudi in the public street towards the Alektora village 3km from Pissouri. In 1958 it was built with expenses paid by Mr Aristou A. Liasidi. The chapel celebrates every Easter Wednesday. 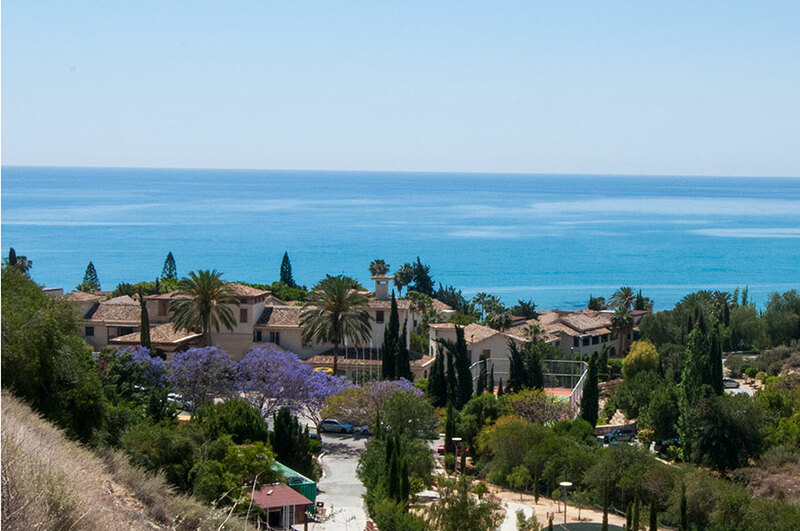 The chapel of Prophet Elias is found in a pine-clad slope of Saint Elias 2km to the west of Pissouri. It was built in 1960 in sculptured rock with expenses paid by Mr Agamemnona Ar Fouta. To chapel was recently renovated in 2002. The chapel of Prophet Elias has very ancient religious Icons in its internal rock. It celebrates every Easter Monday and July the 20th. The chapel of Saint Alexandros was built in 1990 with donations from Mr Leonidas Liasidis Kotzjas and Mrs Galatias G. Kyriazi. Besides the chapel there was a big bush of trimithies and shinies where the faithful Christians went and made their prayers and on its branches they used to hang various items of clothes worn by ill children in order for the Saint to cure them. To commemorate Saint Alexandros the chapel celebrates every 30th of August and on 12 December a festive Holy Service takes place by the residents of community. On the foundations of the old church to the east of the plains of Linidion the current church of Saint Mauritius was built with the donations of the family of Mr Pericles Stasi. 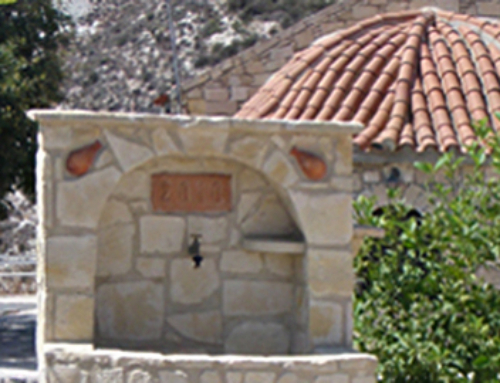 With donations from Pissouri residents the church was extended, maintained and fenced in 2001. Saint Mauritius is known as the doctor of ‘skatharon’(spots) and it is said that if one takes some earth from the inside of the church, make mud from it and in the form of ointment put it on spots the ailing person will be cured. Every 12th of September a feast is made and every Easter Thursday a Holy Service is taken to honour the Saint. The ancient church of Saint Mauritius was maintained recently drawing in a lot of attention from curious passer-bys and Christian pilgrims alike. In the homonym ground of Akonopetra to the west of the Community amphitheater the chapel was built to honour the Virgin Mary. 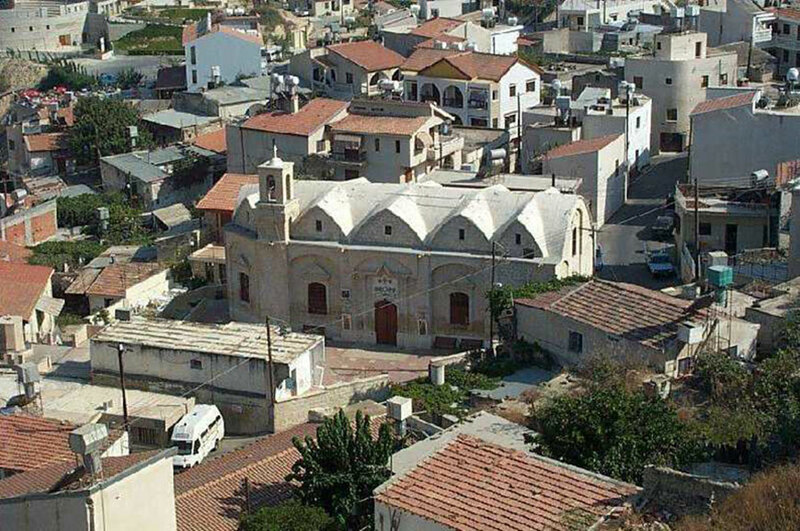 The chapel’s diocese belongs to the church of Apostle Andrea and the expenses were paid by the residents of Pissouri with free of charge supervision of work by Mr Kyriako D. Mavroudi. Every 21th of November a service is held.